While Mayor Suthers was wrong about whether or not the 2015 proposal would tax churches and nonprofits, that is precisely what Colorado Springs Issue 2A — put on the ballot by Colorado Springs City Council and endorsed by Mayor Suthers— would do. Just a quick sleight of hand where they call a “tax” a “fee” and voila, churches and nonprofits will foot a gigantic part of the storm water tab. I understand the Mayor was opposed to “taxing” churches and nonprofits back then, but what has changed so that he will support it today? The Mayor has voiced radio ads imploring citizens to vote for 2A and says that it imposes a simple five-dollar fee on each residential property. As usual, the devil is in the details. Issue 2A is fairly simply worded (though it does confuse voters a bit by starting out saying “without imposing any new taxes”). 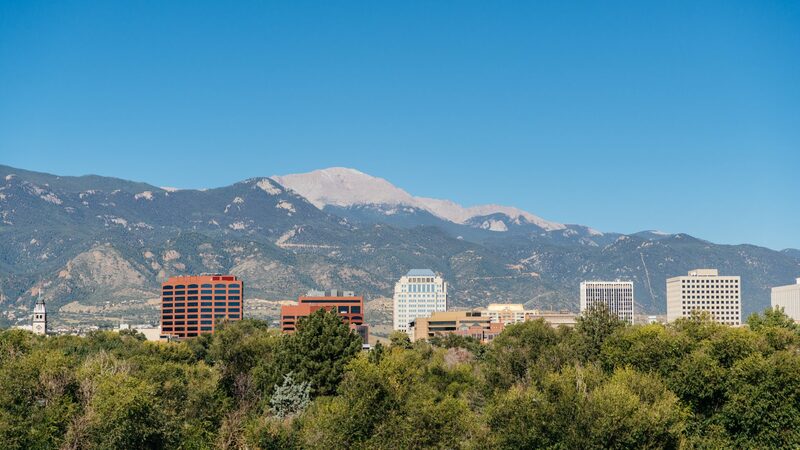 If passed, it would impose a $5 fee per month on all residential customers of Colorado Springs Utilities and a fee of $30 per month per acre on developed non-residential properties. All these funds would be dedicated to fixing the storm water problems that exist in Colorado Springs. The problem arises when you do what I did and calculate (based on the El Paso County Assessor’s website) what different entities may owe under this new fee. In just those five churches, that amounts to $36,857 a year that cannot be used to feed and clothe the needy of our community. Imagine what that number would be if you looked at the hundreds of churches in our community. That would pay for 337 Thanksgiving meals for the homeless at Springs Rescue Mission. And, as we look to economic development, I thought it would be interesting to look at our two major malls in Colorado Springs and see how they’d fare. If you haven’t been to one of them in a while, you’re not alone. They are shells of their former selves. Once vibrant malls in Colorado Springs are feeling the Amazonian effects of an online world. Mall stores are shuttering and vacancy signs are going up while parking lots are empty. Passage of Issue 2A will hit these malls especially hard. Chapel Hills Mall, which encompasses 84.5 acres, will pay a whopping $30,420 annually. Citadel Mall will get hit with an annual fee of $24,000. This, on top of the already hard luck faced by these dinosaurs in our retail community, could cause extinction. Now, it may be coincidence —and by pointing this out I do not imply anything— but rather allow you to draw your own conclusions. Developers in our community —with one notable exception— tend to be good people who invest in our community. I have long supported the Colorado Springs Housing and Building Association and many in the business community. For many years I was the Vice President of the Colorado Springs Chamber of Commerce and I worked —and continue to work— to advance our community. Community organizations and developers have been the top contributors to the campaign to pass Issue 2A and impose this fee. In fact, all of these organizations have given $25,000 or more each to the effort to pass 2A: Schmidt Construction, Colorado Springs Forward, Colorado Springs Housing and Building Association, Colorado Springs Chamber/Economic Development Corporation, Development Management, Inc. (associated with Nor’wood Development). These top five contributors have given a combined $125,000 to get this issue passed. But what will they pay in the new stormwater fee? Based on the ballot language and El Paso County Assessor records, each of them will pay the minimum non-residential property rate of $30 per month. That is a total of $360 per year. And Nor’Wood’s 18,000 vacant acres east of town will pay nothing. Not one dime. Last I checked, the rain falls there too. Does Colorado Springs have a storm water problem? Yes. Is 2A the solution? No. The solution is a continued commitment of dollars from the general fund so that we can continue to address this problem. Putting tape on bureaucrat’s fingers and taking money out of the collection plates of our churches and nonprofits isn’t the answer. Jeff Crank is a talk radio show host who can be heard every Saturday morning from 6-9 am on AM 740 KVOR and www.KVOR.com. Assessment of a parcel of land over 5 acres is at the discretion of city planners up to $30 per acre. There is no way of assessing the actual amount of land that will be included or excluded as being developed until it is assessed. This amount is a good faith estimate based on actual El Paso County Assessor tax records. This means that large non-residential parcels over 5 acres will be individually assessed to see what part is open ground where stormwater percolates in and what is impervious surfaces and landscaping that adds water to stormwater flows. So, your statement “And Nor’Wood’s 18,000 vacant acres east of town will pay nothing. Not one dime. Last I checked, the rain falls there too” is deceptively false because it’s vacant land that does not contribute to stormwater flows and therefore is not subject to the fee. The same will be true of any 5 acre plus lot that has large grassy or undeveloped areas like New Life Church, which will have its ball fields exempted, but not its parking lots, which is perfectly appropriate. That is not accurate, Scott. The Stormwater Enterprise Manager may make determinations on developed, non-residential property. Vacant land remains exempt. Funny how you don’t disagree that churches and nonprofits are taking in the shorts while developers are getting off. Do you disagree with my assessment that “If 2A passes they [New Life Church] will pay up to $1,020 more each month”? I’m sure you don’t disagree because that is a true statement and when I said “up to” it accounted for the language which allows the city to exempt certain portions of the acreage which are in a natural state. I wasn’t being deceptive at all. Second, do you disagree with my assessment that Nor’wood Development would pay only $30 per month on their headquarters and would not pay anything long-term on any other properties? I don’t think you can disagree with that. The point of my piece was to point out that churches and nonprofits were being hit the hardest by 2A and that is simply a fact. Does New Life Church and Focus on the Family pay far more than Nor’wood Development and Classic Homes under this plan? Of course they do – and, frankly, to try to nitpick and divert attention away from that fact, as you try to do, is what is what is deceptively false. The thing that bugs me as well, is citizens who aren’t property owners and who won’t be effected by this TAX, voting on imposing it onme. I’m an investor, I own several homes, this tax is going to highly impact me.